Is my site READY for me to work on SEO? Will I get my money’s worth if I pay someone to help me with SEO? If so, awesome! These are great questions to be asking! The truth is that there are a couple of things I highly recommend doing BEFORE starting SEO Services. If you do these three things (plus I’ll include one bonus) you’ll be the most out of any investment you make into your SEO. 1. Have a website design you LOVE. 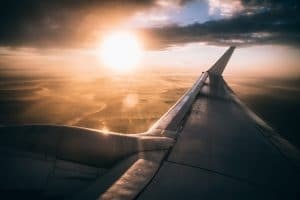 With my SEO training sessions, I act as your co-pilot while you learn to do your own SEO work to get your counseling website off the ground….but you need a source “aircraft” (website) first! you and convert clients into paying clients. If you’re not in love with the design of your website, stop right now and go tackle this problem! If you’re a huge DIY person, you might try to do it yourself. But I’ve found that this truly is an area where it’s worth investing and having someone with a really good eye for design help you out. 1) They’re affordable. It’s only $59/month and cheaper if you sign up during a sale or pay for a year at a time. Tell them I sent you and they’ll give us both a free month even. Considering that most people pay thousands of dollars for a good website designer, I think it’s a pretty good deal. And their sites look nicer than other “cheap” therapist websites I’ve seen. 2) They use Word Press & Yoast. I have learned all kinds of other platforms, but I’m a WordPress girl at heart. I’ve yet to have a Brighter Vision site I couldn’t get ranking on the first page for at least a handful of the keywords we targeted and part of this is because they set your site up on Word Press using Yoast. 3) We have a good working relationship. BV staff and I work as a team. We have a lot of clients in common so they’re used to having people working with me. If you’re considering working with one of us, know that you’ll be in good hands if you work with both. When my clients have other website designers they sometimes end up being the “go between,” but with BV customers, you’ll find that they will be happy to give me temporary administrative access and that we’ll send one another e-mails as needed to talk about issues always CCing you to keep you “in the loop” without burdening you with yet another task. I understand that not everyone wants to go with Brighter Vision or even WordPress. If you’d like other suggestions, feel free tosend me an e-mail. I have seen sites built by a variety of designers and know another word press designer and a couple square space designers I’d recommend. This is one of the biggest mistakes I see psychotherapy practice owners make on their websites. They often have an “Individual Counseling” page and maybe a “Group Counseling” or “Couples Counseling” page. The harsh truth is that it’s much harder to rank for (and people may be less likely to search for) “Individual Counseling” than it is “Depression Counseling.” So, a HUGE thing you can do to improve your SEO and get your site ready for any SEO services is to create an individual page for each specialty your clinic offers. Even if you are a Couples Counseling clinic you can offer different services such as premarital counseling, marriage counseling & help for navigating a divorce. Even if you see a wide variety of people, you can do this. Depression and Anxiety are very common things people search for. So even if you see yourself as a “generalist” you could create a depression counseling, and anxiety treatment and counseling for other issues pages. Why is it helpful? Oh man, I could talk for ages on this one. But suffice it to say that it tells Google that it’s really important to know that this specialty is important to your practice. It gives Google lots of good information to work with. And it also communicates to clients that you are really, really good at this type of counseling work. In fact, you’re so good at this that you wrote a whole page on this! 3. Each page needs 500 words! Ok, so maybe not every single page. Your contact us page or the page with your site directions might not. But as many pages as possible need 500 words. This gives Google enough words that it can get a good feel for what your website is about. It also makes the page long enough that you can add subheadings and photos to your page without it looking funny. Which pages should be 500 words? As many as possible. Blog posts, home page, each service page and each therapist’s “about” page. Maybe even your FAQ page. Seriously guys, this is a big one. Don’t skimp on it. Is your website SEO ready?!? I provide SEO Consulting services to therapists and other small business owners interested in optimizing their websites for search engines. Whether you are looking for monthly seo packages where I provide work on your website for you (keyword research, adding alt text to photos, meta descriptions, headings/subheadings, etc.) or you are the DIY type and want to purchase SEO Training services, I can help. If you’re ready to get started, book a free 30 minute SEO consultationover Zoom video chat. We’ll discuss your business and which SEO services would help you reach your goals!